"Caution - the indented design feature of this decanter must not be used as a handle. Do not insert your hand or any item into the indented area. The handmade decanter distinguishes by an elegant and complex design. RIEDEL whole-heartedly believes all wines - young and old, red, white or sparkling - can be enhanced by decanting. 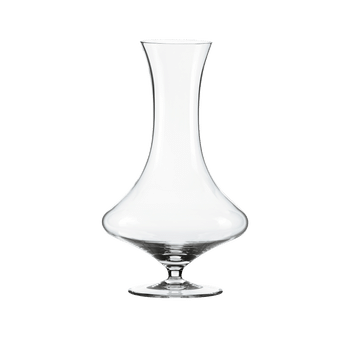 Caution – the indented design feature of this decanter must not be used as a handle. Do not insert any item into the indented area. Cleaning beads should not be used. Carefully hand wash only. "